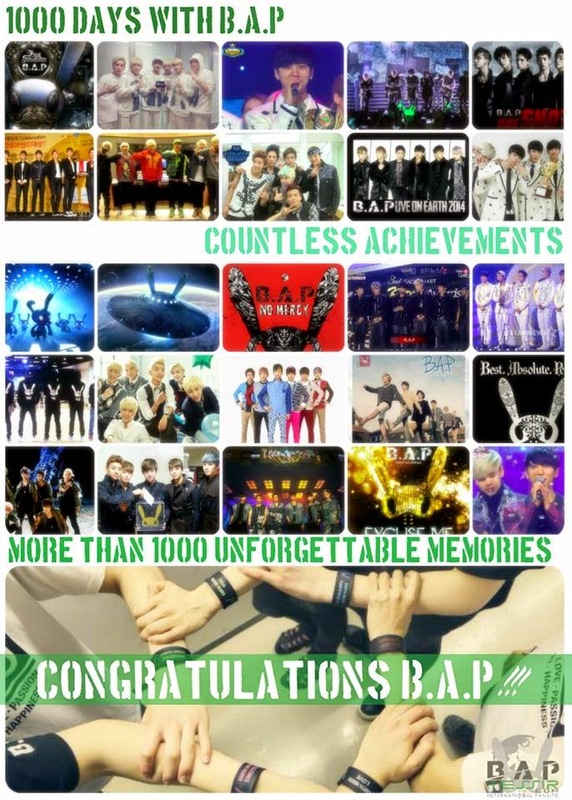 Happy 1000th Day to B.A.P! 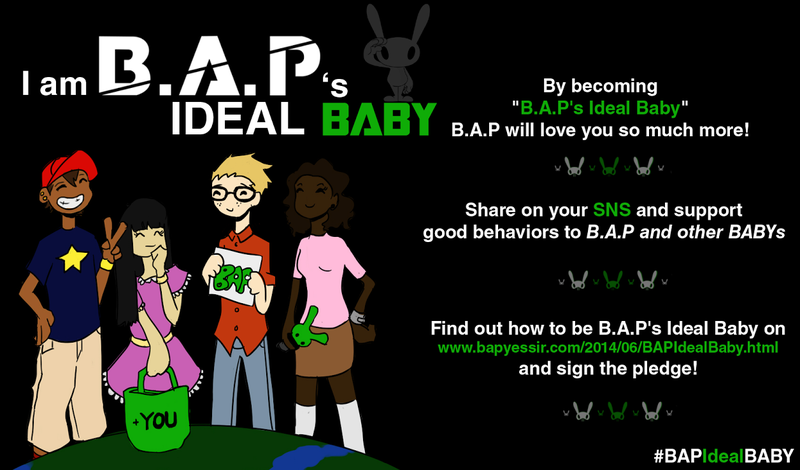 For B.A.P's 1000th Day, BYS and BABYz decided to give a one-of-a-kind gift to B.A.P. Instead of sending them tons of gifts, we decided to use our "power to make a better world" and make a compilation of all the fandom's good deeds. We all think B.A.P has created an army of kind-hearted people, who dreams big and who will continue to care about people, animals and the planet and try to make the world a better place. This is really touching and I am so proud to be a part of this fandom. Babyz fighting! B.A.P fighting!